In this episode, we're joined by author Kit Reed, who tells us how the Oz books — the ones penned by Ruth Plumly Thompson, rather than the originals by L. Frank Baum — were her gateway to speculative fiction. She'll talk about other early influences, like F. Scott Fitzgerald, Ray Bradbury, Theodore Sturgeon, and John Collier, and how her reading continues to range across a wide variety of genre and non-genre authors and subjects. We'll hear how being the child of a navy officer who moved around a lot meant having to adapt to new communities and situations, teaching her to observe group behaviour and in turn contributing to some of the themes in her stories. Kit then discusses how her career as a journalist also helped shape her approach to writing fiction. And we'll talk about her love of comics, from early favourites like Superman and Batman, to more recent fare, including Preacher and Snow Piercer. She'll also tell us why — apart from her childhood creation of Harbour the Bunny — she hasn't taken a crack at writing comics herself. Our interview took place in October 2015 via a Skype connection between Kit's home in Connecticut and my studio in the lair of bloginhood, located deep beneath the Niagara Escarpment. 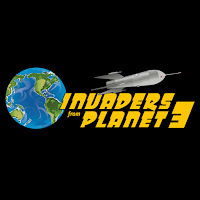 In this episode, we'll chat with author Joe Haldeman. We're also joined by Joe's wife, Gay — and the resident murder of crows at the hotel hosting the convention. Joe shares some of his early sf favourites with us, including Lester del Rey's Rocket Jockey, Robert A Heinlein's Red Planet, and the TV series Tom Corbett, Space Cadet. He talks about meeting some of the science fiction authors that influenced him during his youth. And he'll tell us about his enjoyment of the Year's Best anthology series at this stage in his life. Joe also muses about the way the world and the ability of people to access information and entertainment has changed over the years, and how one's personality and experiences affect one's tastes. He tells us about how his letters home from Vietnam formed the basis of his first novel. And he talks about being a writer, and how science fiction authors differ from their mainstream counterparts. At various points in our conversation, we talk about gatekeepers — people who have played an important role in introducing him to science fiction, and his own part in fostering someone else's appreciation of the genre. Our interview took place in October 2015 at VCon — the Vancouver Science Fiction, Fantasy and Games Convention (in the hotel's courtyard, which accounts for the crows adding their two cents to the conversation).